Greenville, SC – The Prog community is buzzing with excitement about the new release by progressive rock ensemble Exovex featuring members of Porcupine Tree, NIN, Devo, Sting & Steely Dan! 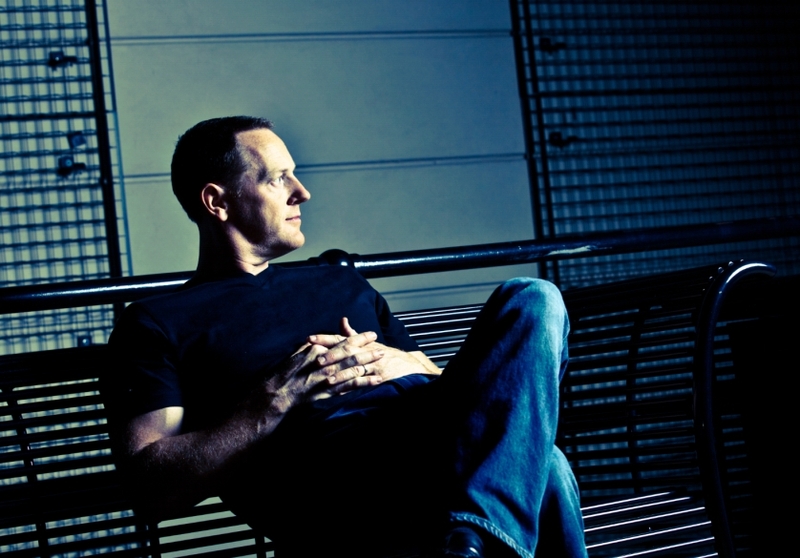 Radio Silence is the project’s debut album and features Josh Freese (NIN, A Perfect Circle, Devo) and Keith Carlock (Sting, John Meyer, Steely Dan) on drums. The album also showcases two members of Porcupine Tree, Gavin Harrison on drums and Richard Barbieri on keyboards and synthesizers. All songs on the album were written, performed and produced by songwriter and multi-instrumentalist Dale Simmons. Two and half years in the making Radio Silence was completed in February of this year. The album’s musical style reflects progressive rock icons of the past while staying firmly rooted in the modern art rock genre. There is a broad range of influences in the music, but echoes of Pink Floyd and David Gilmour can be heard in several of the album’s tracks. The cover of the album features stunning works of art by Babak Tafreshi, an award winning photographer working with National Geographic, Sky&Telescope Magazine, and the European Southern Observatory. In regards to the guest artists, Simmons explains, “In each case, I asked the guys to do whatever they thought would best serve the song, I gave them complete creative control over their contributions to the recording. These musicians are amazing artists, and I don’t think they would have delivered the great performances that they did had I tried to control the process more. That unknown creative variable was critical for me because it made the effort a true collaboration. Chance, chaos and the unknown can produce beautiful results if you can just let it happen. That’s more difficult than it sounds”. Radio Silence has an approximate running time of 44 minutes and was mixed by multi-platinum award winning mixing engineer Steve Hardy. The album was mastered by Andy VanDette, at Engine Room Audio, in New York. Andy’s mastering credits are too numerous to list here, but they include David Bowie, Deep Purple, Rush, Beastie Boys, Porcupine Tree (In Absentia and Deadwing) as well as Steven Wilson’s first solo project Insurgentes. The Exovex debut album Radio Silence was released in March 2015 on iTunes and BitTorrent as a downloadable Bundle. A special limited CD edition is now available exclusively through http://www.exovex.com. Greenville, South Carolina – Exovex, arguably one of the most talked about prog ensembles of 2014, prepares to release its debut album ‘Radio Silence’, featuring Gavin Harrison (Porcupine Tree, King Crimson) and Josh Freese (NIN, A Perfect Circle, Devo, The Vandals) on drums. The new project reflects progressive rock icons of the past while staying firmly rooted in the modern art rock genre. To date, two tracks have been released under the Exovex name: “Daylight” and “Seeker’s Prayer”. The tracks are pre-released versions of songs that will appear on ‘Radio Silence’, which is set for an October 2014 release. Both tracks are available for free download on the band’s website. In 1999 Simmons moved to Europe and would spend the next seven years, refining his songwriting and music production skills. He built a modest studio in his apartment at Chateau d’Uriage (a 13th century castle in the Rhône-Alpes region of France) and began experimenting with sound design. Although only one CD release (‘No Real Direction’) resulted from the expatriate effort, the experience would have a lasting impact on his songwriting and artistic vision. Simmons overdubbed all instruments for ‘No Real Direction’ with the exception of drums, enlisting Chilean drummer Cristian Perez (Patti Labelle) as percussionist. Simmons and Perez co-produced and mixed the project in Perez’s Strasbourg, France studio. Repatriating to the United States in 2006, Simmons built a new studio and began working on a series of new compositions – some of which would eventually become ‘Radio Silence’. 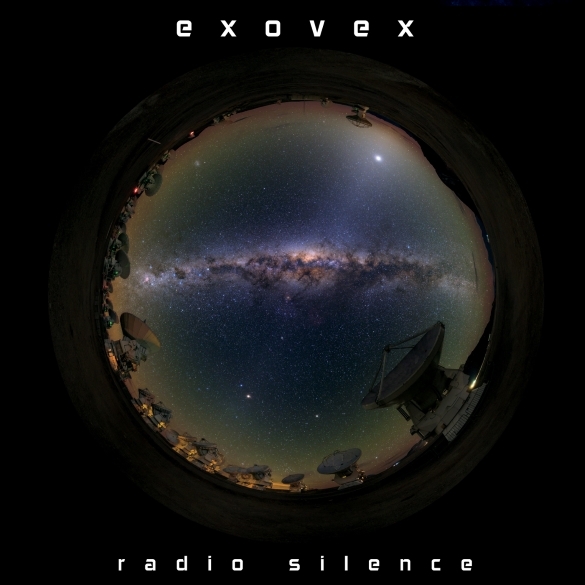 The Exovex debut album ‘Radio Silence’ is scheduled for October 2014 release. A special limited CD edition (1000 signed copies) will be made available exclusively through the band’s website. Subscribe for Exovex email updates at http://www.exovex.com, and stay tuned for the debut album ‘Radio Silence’.